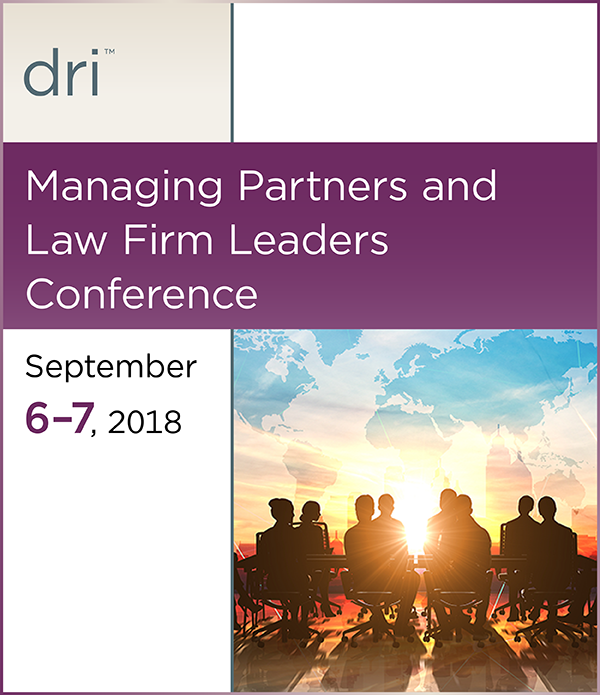 DRI—The Voice of the Defense Bar, which has been providing gold-standard legal education for over five decades, proudly presents this unique program specifically for managing partners and law firm leaders. The conference is open only to DRI members. The keynote address will be by Eric A. Seeger, Principal, Altman Weil Inc., Willow Grove, PA, an accomplished expert. During the program you will also have the opportunity to hear from and network with leading authorities from Boeing, Microsoft, and Starbucks and more! So, join us at Loews Chicago Hotel, one of Chicago’s finest meeting venues, for a high-value experience with those who most clearly understand your challenges and are, therefore, best able to provide you with solutions.